Repeater. With the Radeon R9 M290X, AMD competes with old technology. 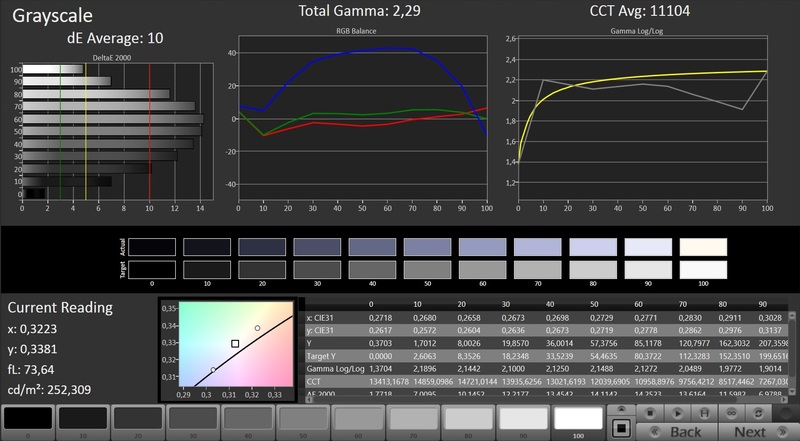 Learn in our review whether the deluxe model can keep up with high-end products from Nvidia. Is AMD still competitive or have they already been pushed aside? 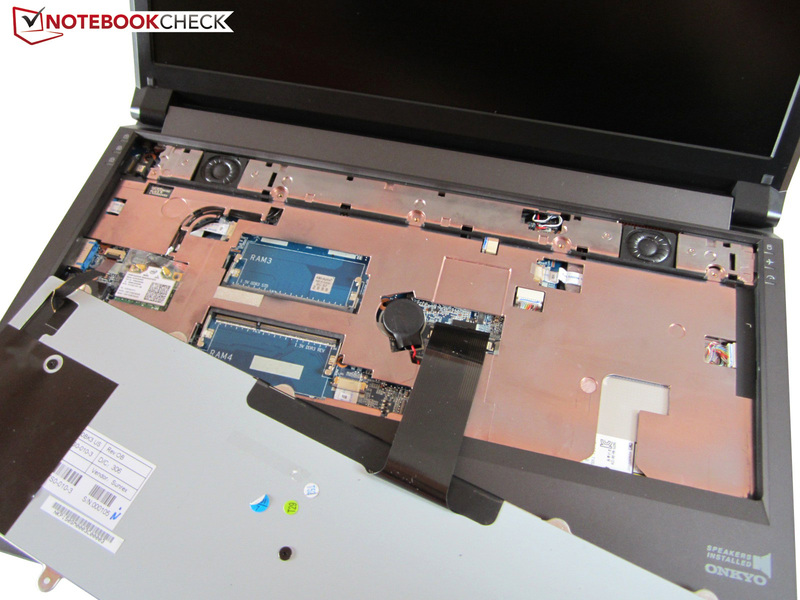 After we reviewed a CrossFire connection recently (Notebookguru Earth V), it remained to demonstrate the capabilities of a single Radeon R9 M290X. 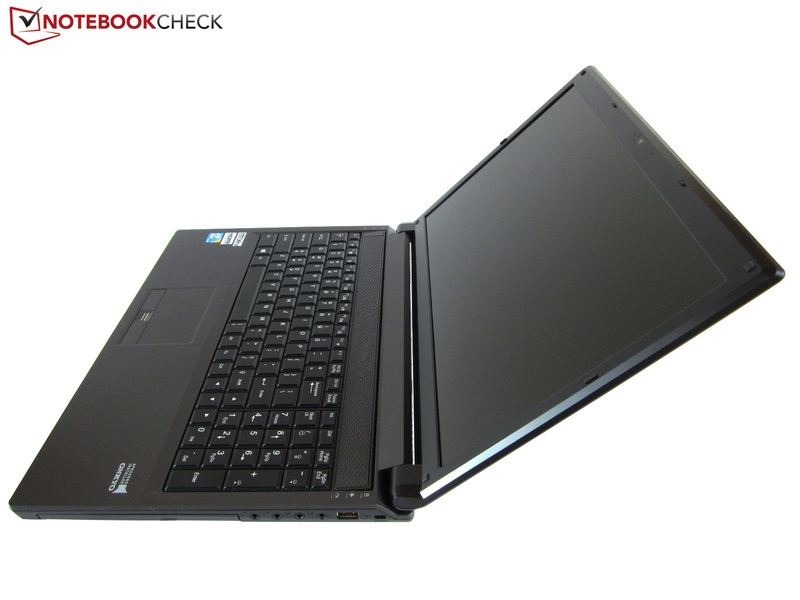 Therefore, we ordered the 15-inch K56-4N with a weight of just less than 3.1 kg (~6.8 pounds) from one.de. Like most of the other gaming notebooks offered at the homepage, the device is highly configurable, starting with the GPU, which can either be from AMD (currently only the R9 M290X) or from Nvidia (GeForce GTX 870M & GTX 880M). 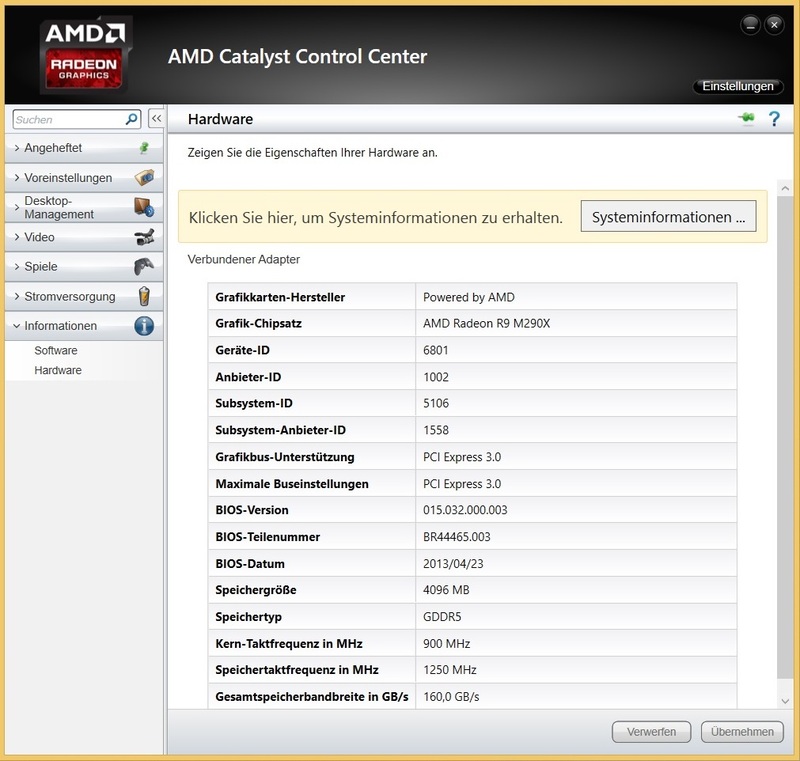 The processor can also be selected. Since the Core i3-4000M incorporated by default lacks the Turbo technology, we would recommend an upgrade right away. While the Core i5-4200M and the Core i5-4300M are dual-core CPUs, the i7 family scores points with four cores. 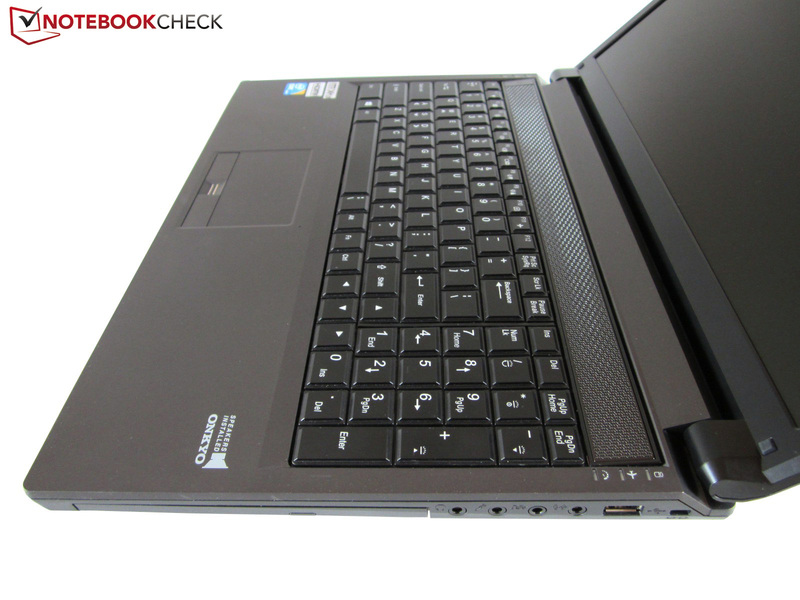 If the price performance ratio is important, the Core i7-4700MQ, which was also inside our test model, is recommendable. 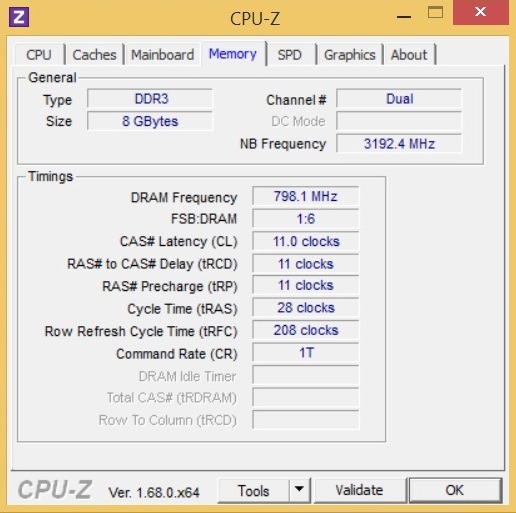 Currently, 4 to 8 GB of RAM is sufficient, but more DDR3-RAM will not hurt (especially considering costs). 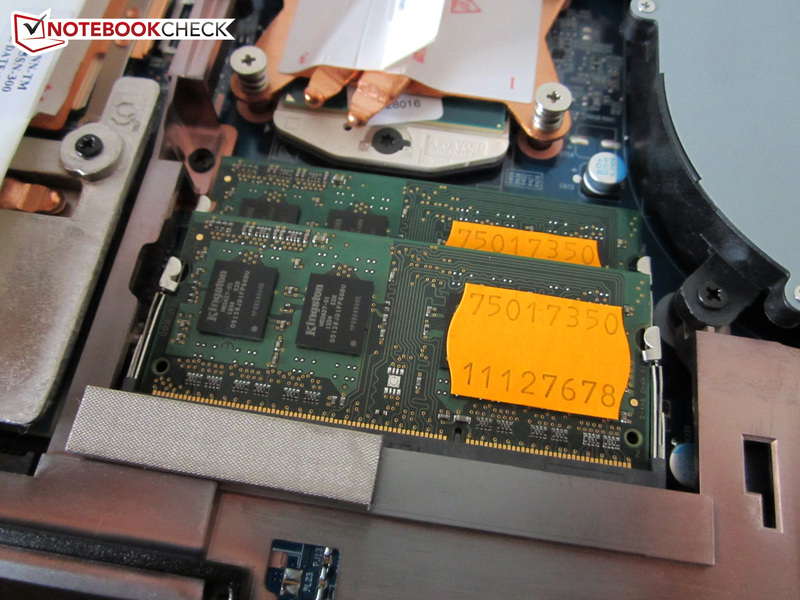 One of the most difficult decisions is probably choosing the appropriate hard drive or multiple hard drives since the 150SM (K56-4N) does not only feature the usual 2.5-inch slot, but also two modern mSATA slots for SSDs. In addition, One offers three Wi-Fi modules (Intel AC 3160, Intel AC 7260 & Killer N 1202) and three optical drives (DVD burner, Blu-ray combo or Blu-ray burner). The base model, priced at 999 Euros (~$1378), does not include an OS, but, it can be configured for a surcharge. We will not describe the other upgrade and expansion possibilities (peripherals etc.) here. 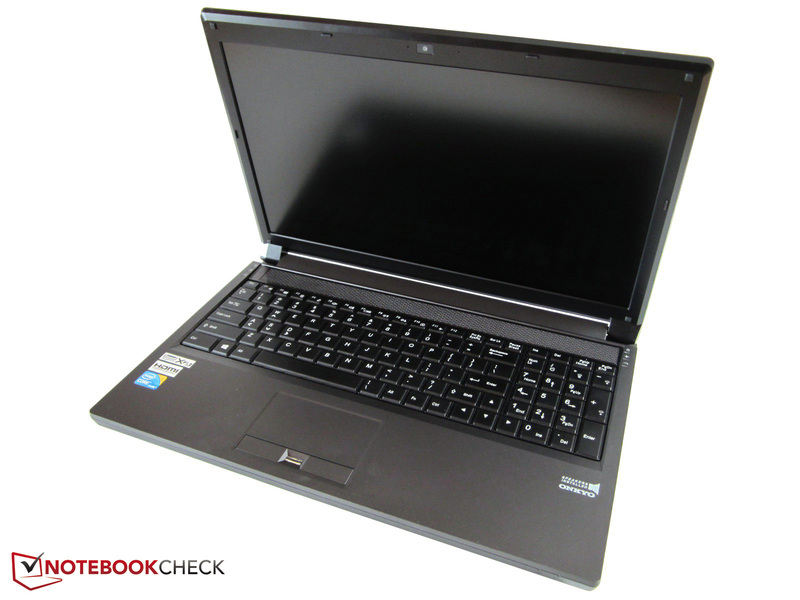 The K56-4N is based on the P150SM-Barebones from Clevo, which is used by many notebook manufacturers and described in detail in this review. 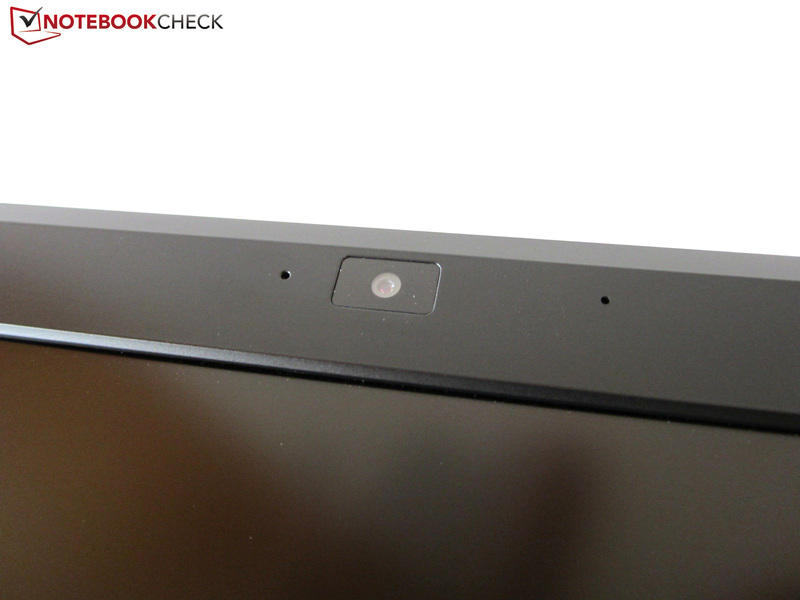 As the case has remained largely the same apart from the small redesign and unreliable touchpad bar, we will start with the display section right away. 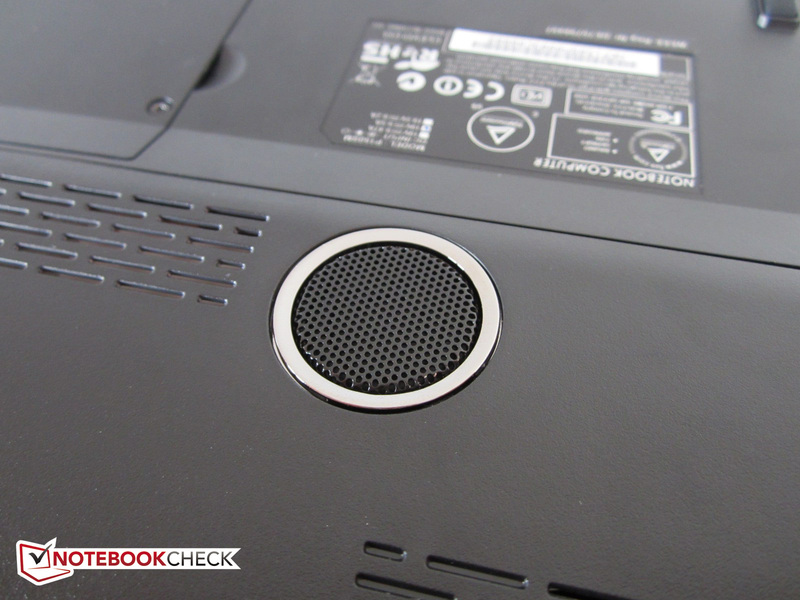 The matte, Full HD display is the same as in the MSI GE60H. 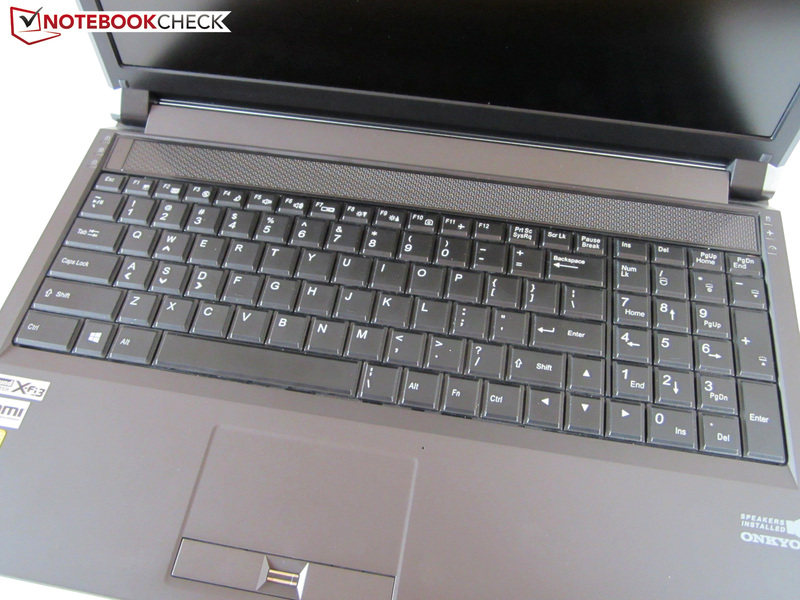 The 15.6-inch LG Philips LP156WF1-TLF3 is upper mid-range and neither especially good nor bad. While an average brightness of 211 cd/m² is not breathtaking, it is usually sufficient for indoor use. The brightness distribution is 80%, which is also acceptable for gamers. Thanks to a relatively low black value (~0.4 cd/m²), black backgrounds are only slightly grayish and the 150SM (K56-4N) achieves a contrast of about 600:1. As can be seen on the third screenshot, the color space is quite similar to the 17-inch Chi Mei N173HGE-L11's, which performs notably better in brightness (~300 cd/m²) and contrast (~800:1) – at least on paper. 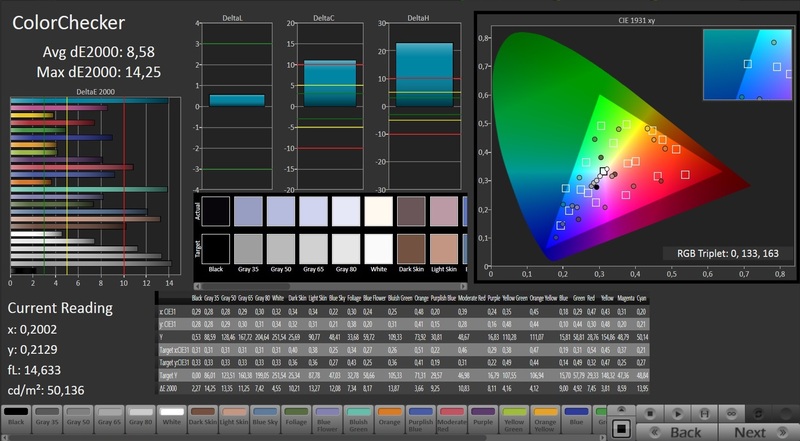 Subjectively, the LG Philips appears slightly more homogeneous since gray levels, gamma, color balance and color accuracy do not differ that much from the ideal values. However, the display does not stand a chance compared to the AU Optronics B140HAN01.1 (compare the CalMAN figures). As usual in laptops, white elements tend to look bluish. The outdoor capabilities of the Clevo 150M (One K56-4N) are good. It is just fine to use the notebook on darker or “normal” bright days. It could only get difficult in extremely sunny places. Here you would quickly wish for a higher brightness. The viewing angles suffer slightly from the weaknesses of the TN technology. While oblique positions are possible in horizontal directions, you should not tilt the display too much in vertical directions. 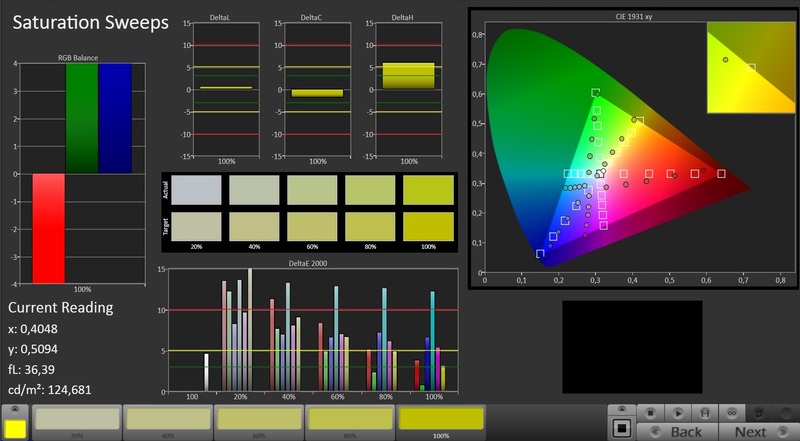 Still, the LP156WF1-TLF3 easily outperforms run-of-the mill displays. 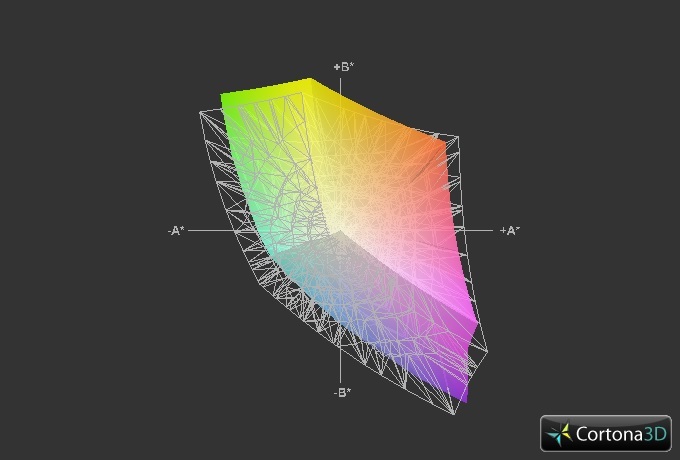 Overall, we would call the display quality passable, which is reflected by the subrating (80%). 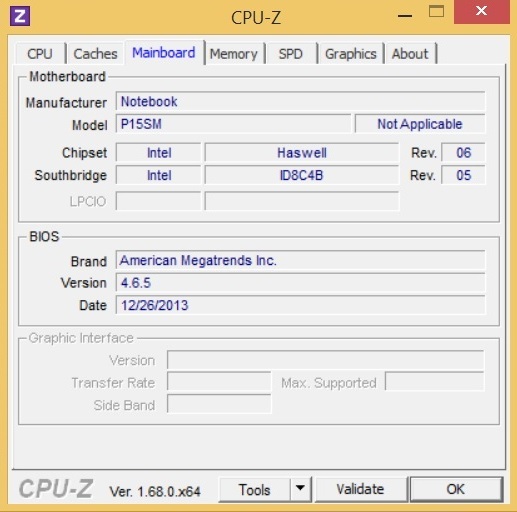 Since Intel's Haswell generation has been on the market for a while, we will only briefly describe it. Besides Hyperthreading, which simulates virtual cores, the majority of the 22 nm family features automatic over-clocking called Turbo Boost. 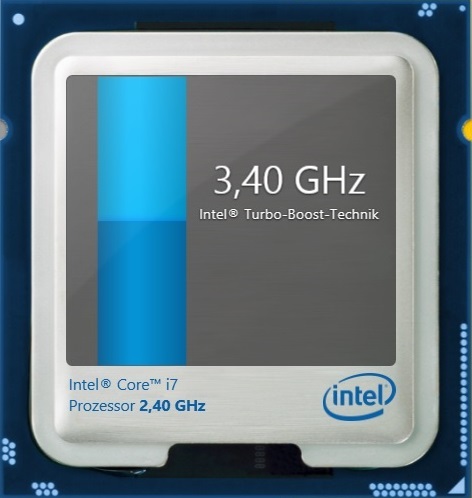 The clock rate of the reviewed Core i7-4700MQ ranges from 2.4 to 3.4 GHz. Furthermore, the quad-core CPU features six MB L3 cache and a TDP of 47 Watts (dual-core CPUs: maximum of four MB and 37 Watts). 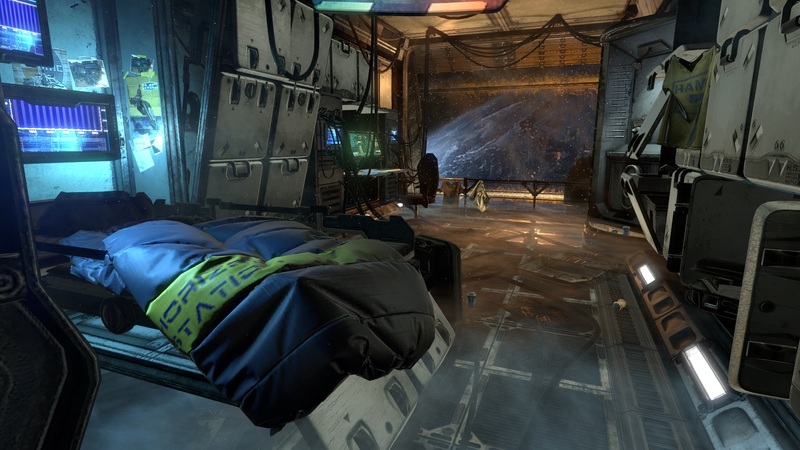 The integrated DirectX 11 capable HD Graphics 4600 is also noteworthy. It is not surprising that the One K56-4N features AMD's Enduro technology, which ensures moderate power consumption while idle. If you select an Nvidia GPU, you will get a more mature graphics switcher with Optimus. 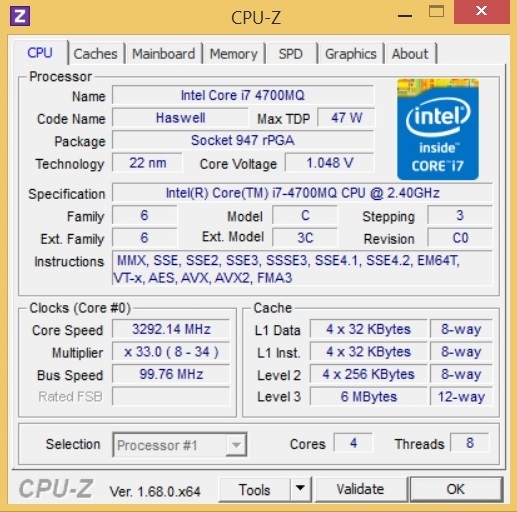 Although the CPU clock falls to about 2.8 GHz for a short time, the Core i7-4700MQ performs respectably under load. Not every competitor can achieve average clock rates of 3.3 GHz during the single-core benchmarks and 3.2 GHz during the multi-core benchmarks. 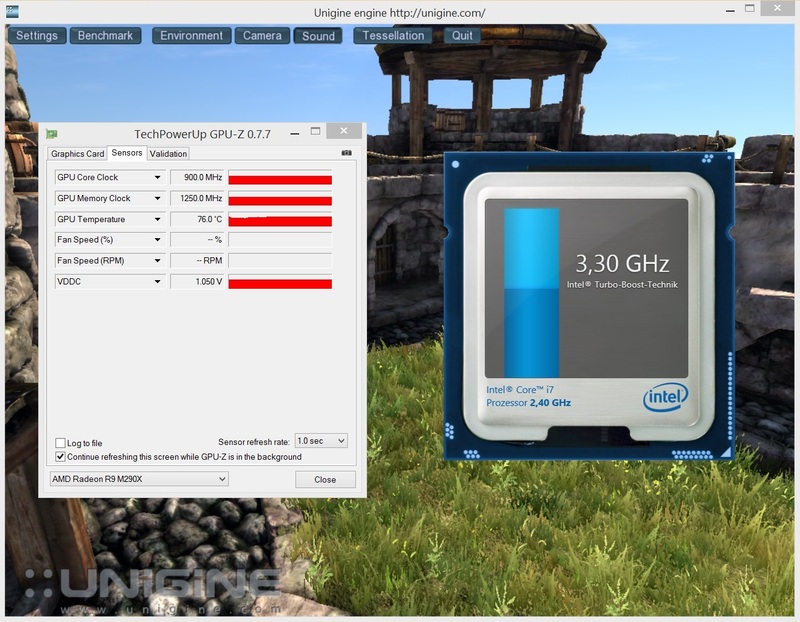 With this result, the quad-core CPU reaches about the maximum claimed by Intel. 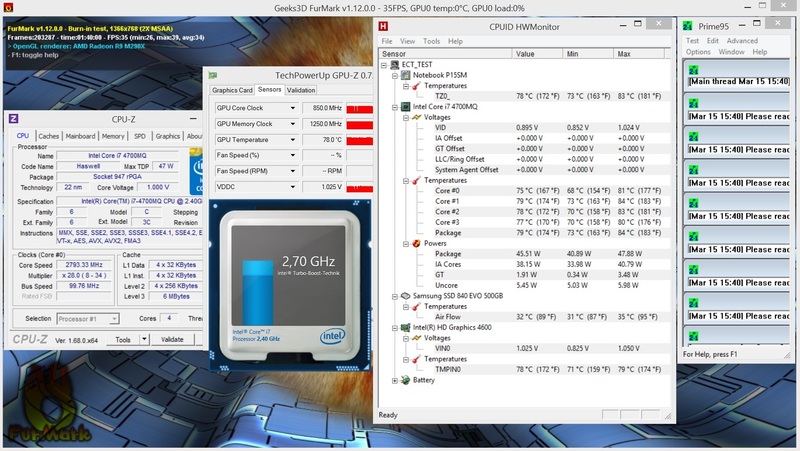 The processor does not even throttle under extreme conditions, which we proved with a test with FurMark and Prime95 (see section "Emissions"). Even after one hour of full load, the Turbo was still active. 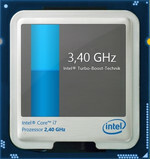 Under single-core load, dual-core and quad-core CPUs perform quite similarly. 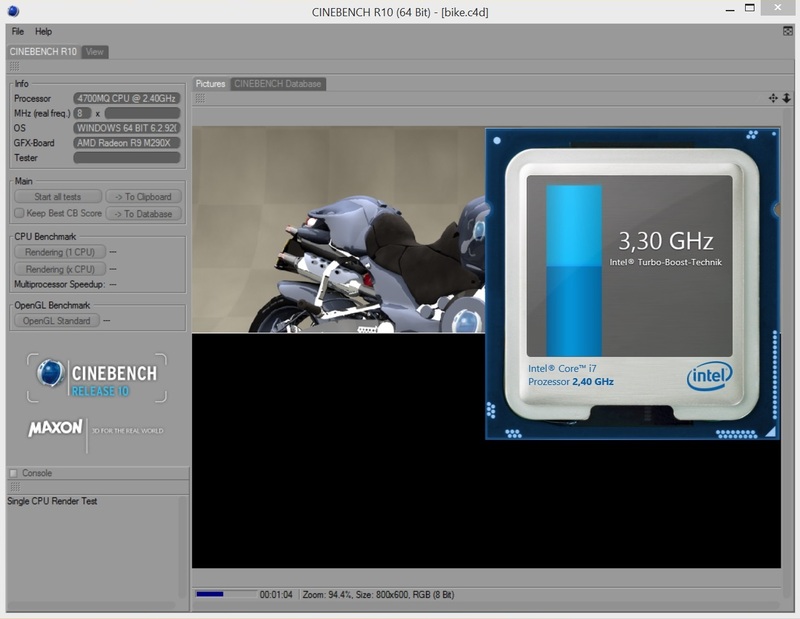 With 132 points, the i7-4700MQ ranks slightly below the i5-4300M with a clock rate of 2.6-3.3 GHz in the Single CPU test of Cinebench R15 (127 points @ Dell Latitude E6440). However, the difference is big in the Multi Core test: 643 vs. 314 points are more than 100% more. 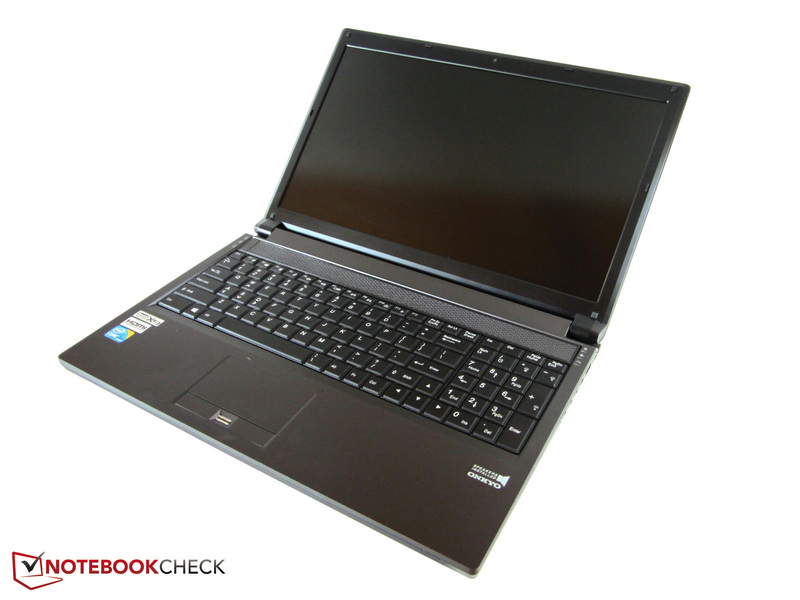 You should select a model from the i7 series if you want to be better equipped for the coming years. In our opinion, the 4900MQ and 4930MX top models do not pay off. 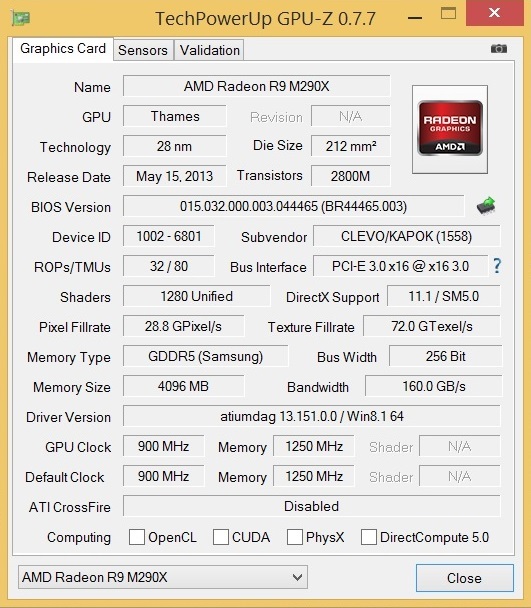 As can frequently be seen in the graphics segment, AMD essentially changed the name of an old card to create the Radeon R9 M290X. Strictly speaking, the buyer only gets a fine-tuned Radeon HD 8970M, which again features 1280 shader units, 2800 million transistors, a core clock of 850-900 MHz and four GB of GDDR5 memory (1250 MHz). 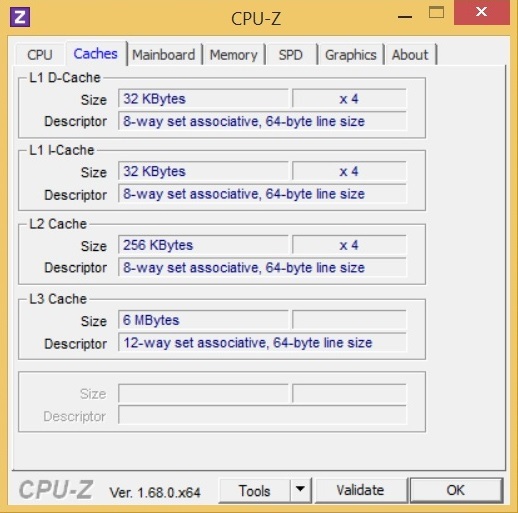 Combined with the 256-bit interface, the DirectX 11 GPU still belongs to the first league. The meanwhile slightly old GCN architecture with 22 nm lithography continues to provide high 3D performance, which is also proved by our benchmarks. The Radeon R9 M290X performs especially well in the Fire Strike test of the latest 3DMark. Although it is significantly cheaper, its GPU core is close to the GeForce GTX 780M's (5465 points @ Alienware 17) with 5294 points. The similarly expensive GeForce GTX 770M, with just under 3570 points (-33% @ Gigabyte P25W), and the brand new GeForce GTX 860M with 3940 points, perform worse (-26% @ Schenker XMG P304). 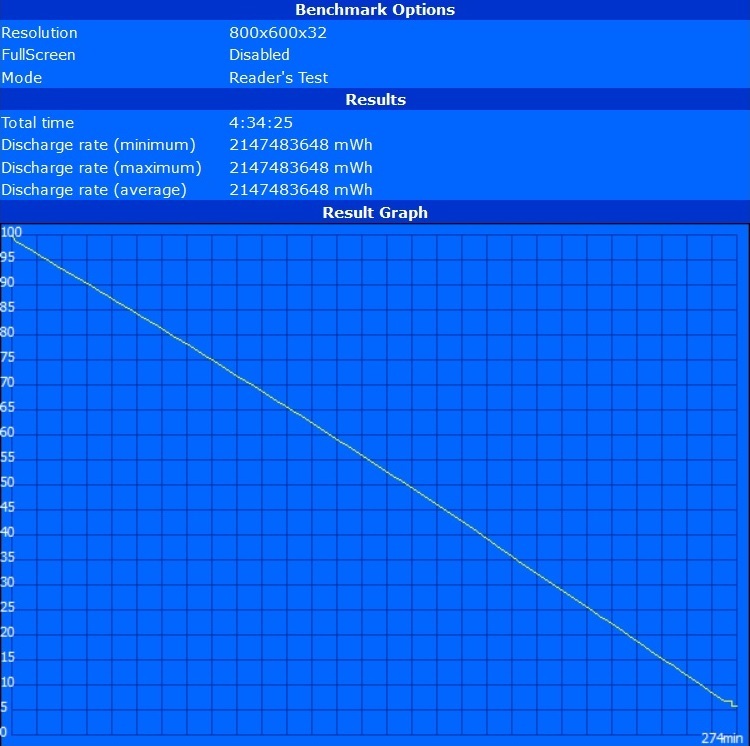 However, the R9 M290X ranks in between the GTX 780M (76 fps @ Schenker XMG P703) and GTX 770M (47.5 fps @ Toshiba Qosmio X70) in the Unigine Heaven 3.0 benchmark, which we run with 1920x1080 pixels and normal tessellation: An average of 62 fps is nothing to sneeze at. 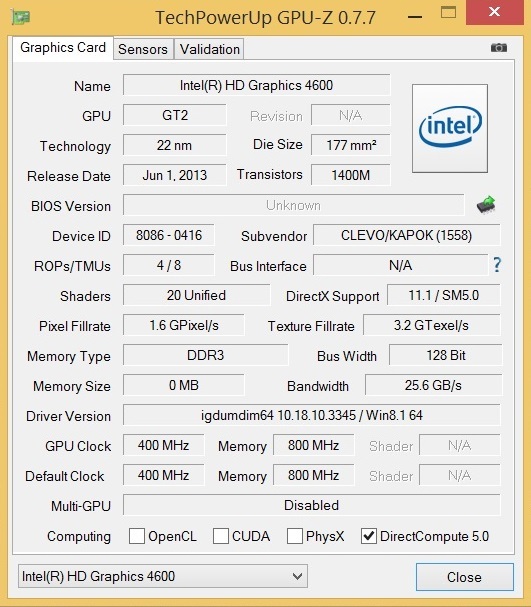 For example, the “king of efficiency”, the GeForce GTX 860M achieves about 50 fps. Regardless of whether the performance is good or not, in our opinion, it is extremely improper that AMD uses deceptive product numbering that suggests a new series, when actually there is none. However, the main competitor often did the same in the past. 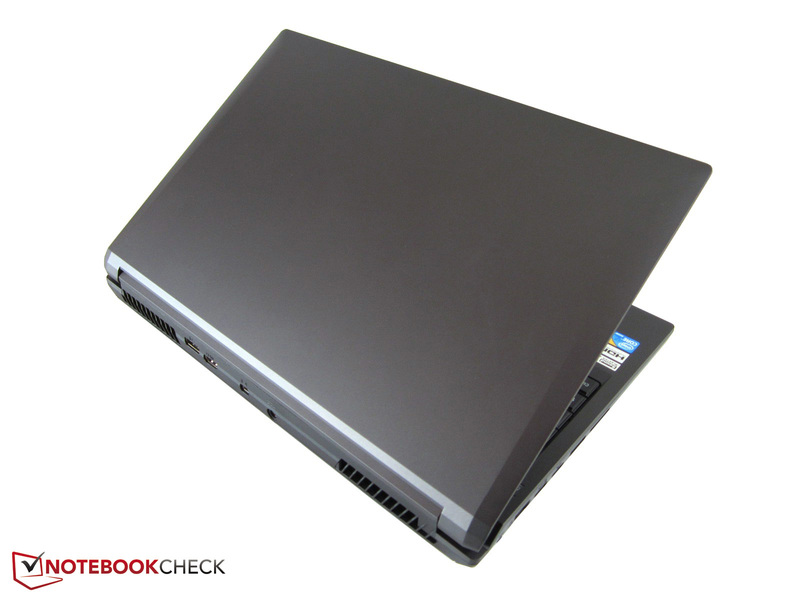 Currently, the Samsung 840 EVO is very popular among notebook and PC manufacturers. This is not surprising since it delivers first-class performance for a reasonable price. 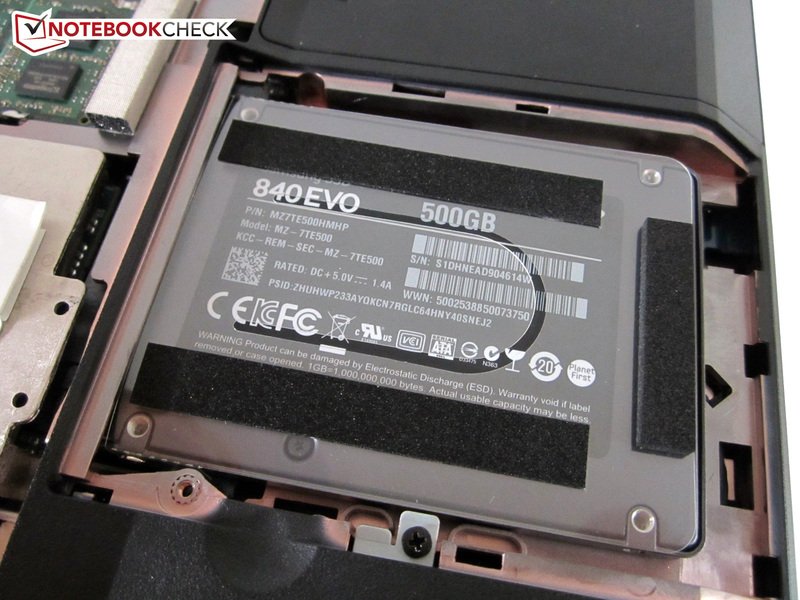 The 500 GB model, which is used in our test model, shines in nearly all aspects. Be it the performance with small files or the sequential read and write rates, maximums of 508 and 493 MB/s hint of ultra modern innards. Many 2.5-inch competitors only achieve maximum write rates of 300-400 MB/s (e.g., the 840 Basic in the One K73-3N). 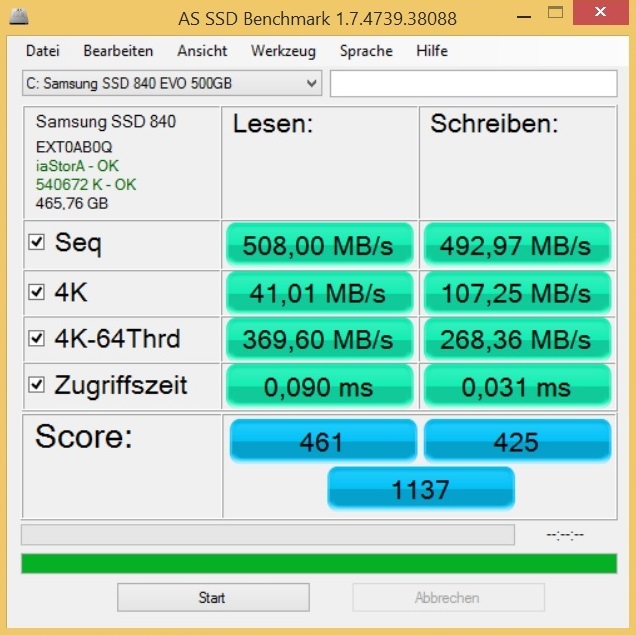 The AS SSD benchmark displayed access times of 0.09 and 0.03 ms, which is a usual value for the 840 EVO (compare to the Notebookguru Earth V). 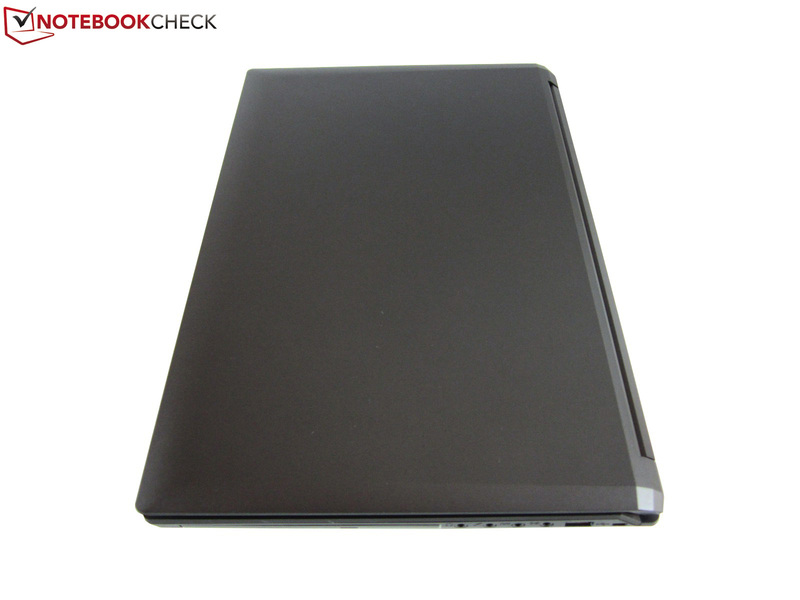 As mentioned above, the One K56-4N is optionally also available with mSATA SSD and/or HDD. Both combined will bring the advantages of both worlds, i.e. 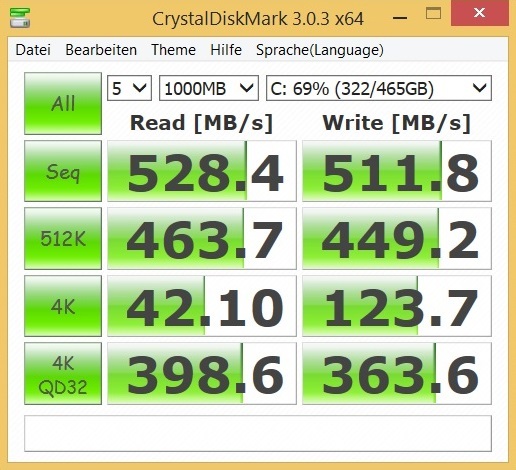 high performance (Windows on SSD) and big storage capacity (data on HDD). The system performance of the test model is excellent. 6408 points in PCMark 7 is the second best result we recorded so far (in nearly 1000 database records). 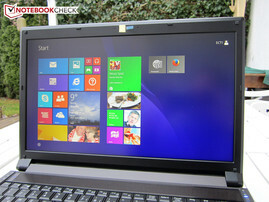 Only the Sony Vaio SV-Z1311Z9EX performed better despite weaker hardware (Core i7-3612QM & HD Graphics 4000). The main reason is that PCMark heavily depends on mass storage performance. The faster the hard drive, the higher the total score. 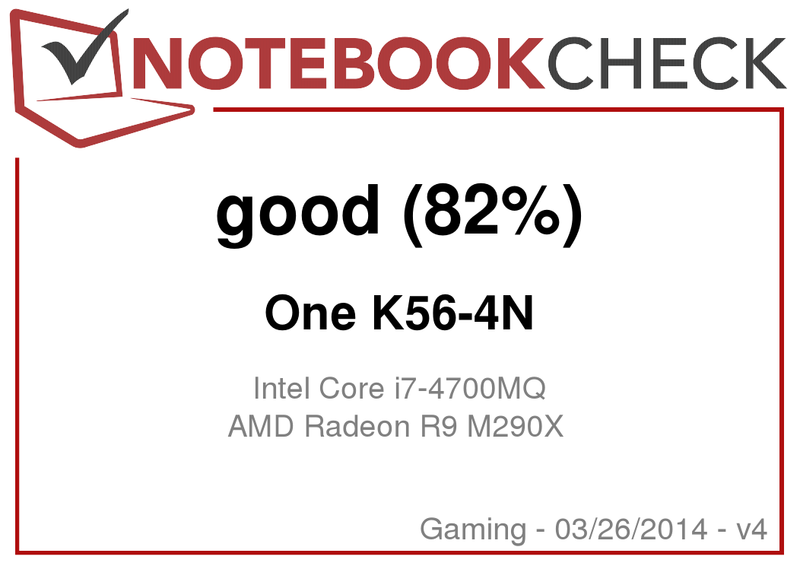 The Radeon R9 M290X performs very well in gaming. 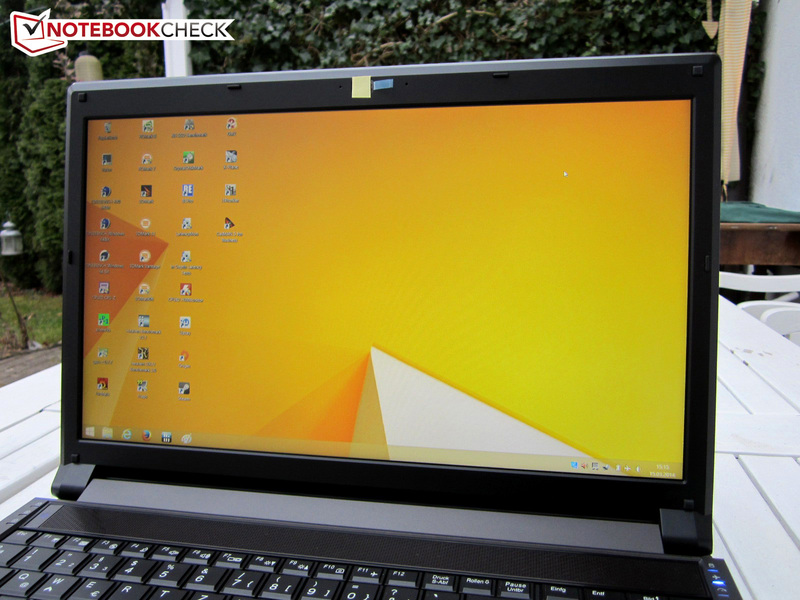 Unless you run demanding games like Crysis 3, the 15-incher can also handle maximum details and active anti-aliasing. The graphics chip achieved more than 30 fps in 11 of 14 games with our ultra settings. A few years ago, only a dual GPU solution could achieve this. Sometimes the graphics card crashes after booting with the error message “the display driver has [...] recovered”. Rebooting usually fixes this problem. SPECviewperf 12 hangs at a certain scenario. 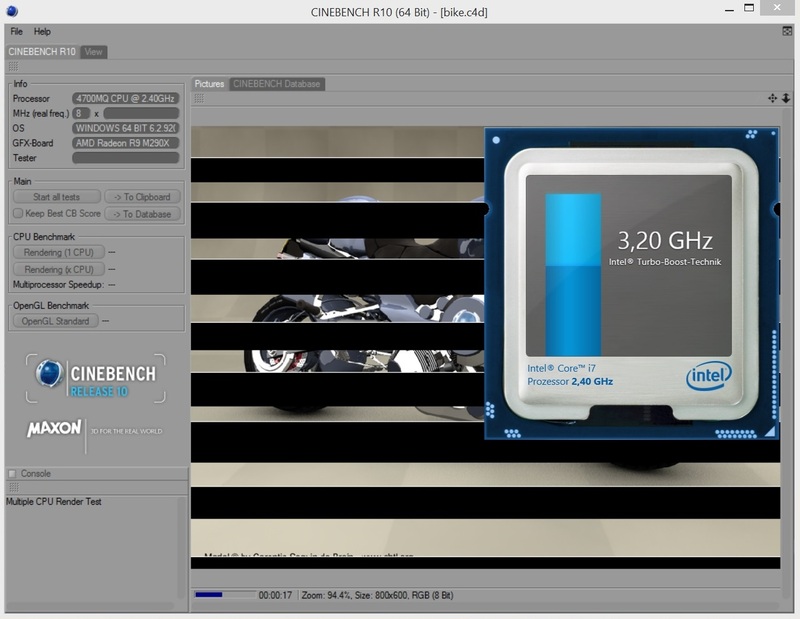 The OpenGL test of the Cinebench R15 also crashed with an error message. Far Cry 3 produces strange shades in DirectX 11 mode. Frame rates were much too low in DirectX 9 mode. Guild Wars 2 ran much too slowly despite correct Enduro settings. 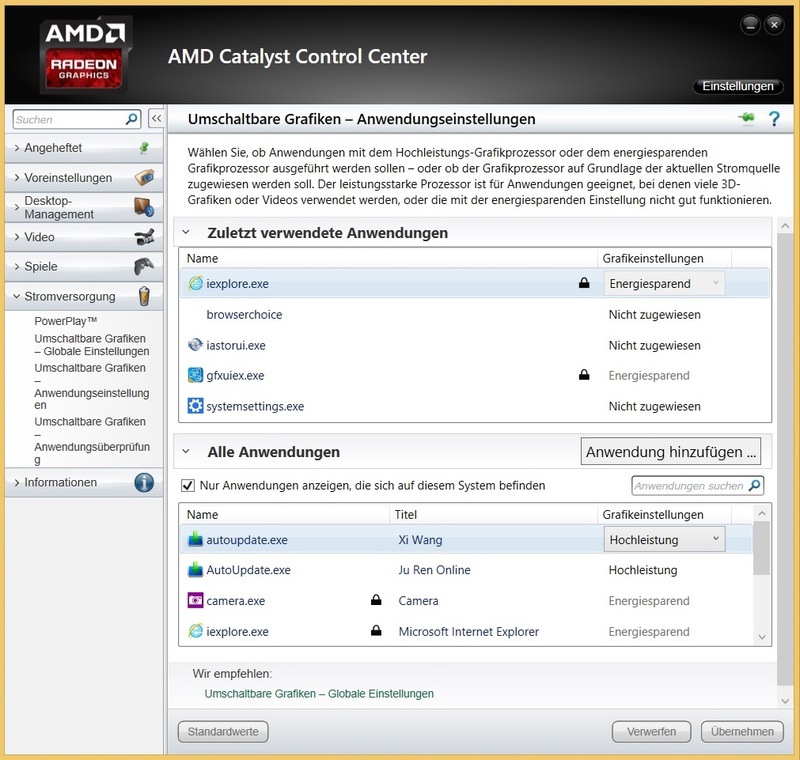 We could not get F1 2013 running at all (according to the task manager the game was opened, but it was not displayed). Thief only reached the expected performance in the second benchmark run. We faced the same problem with the Notebookguru Earth V.
In particular, the system noise has to be criticized. Although the fans are sometimes completely deactivated while idle, they produce at least 37 dB(A) as soon as they are active, which is clearly audible. It is hard to understand, why Clevo did not implement a lower level. Sometimes the noise even increases to just under 40 dB(A) without reason. 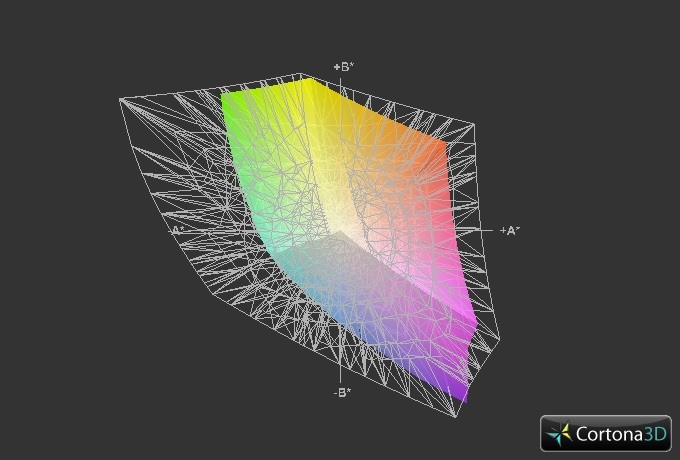 In 3D mode, the fans adapt very quickly to changing load. So the noise ranges from 41 to 47 dB(A) during 3DMark 06 and hovered around 47 dB(A) after a while. This level might be disturbing unless you play a game with a lot of action or use a headset. A maximum of 54 dB(A) under full load is also pretty noisy. The fact remains that Clevo achieved very little progress in fan control. 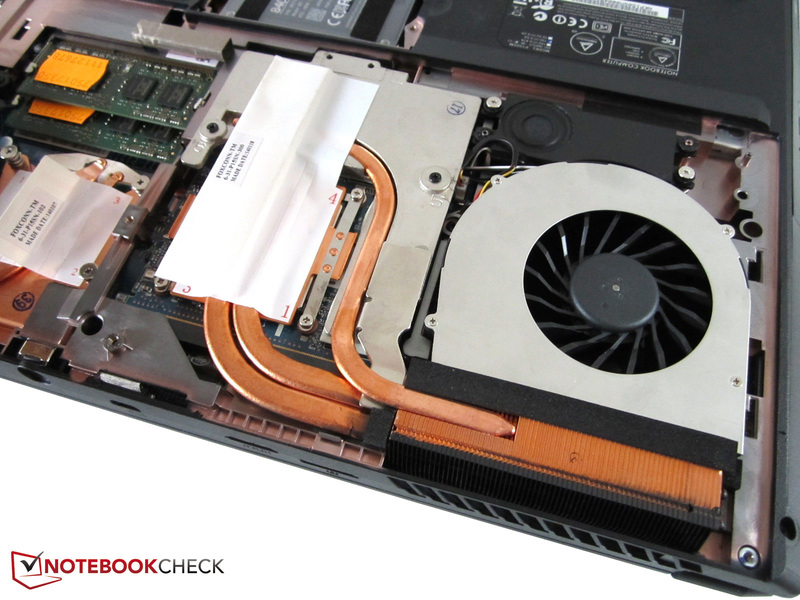 Cooling still depends too much on hardware temperatures or load. An important advantage of the loud fans is the cool case surfaces. Average temperatures of 26 °C (78.8 °F) while idle and of 33 °C (91.4 °F) after prolonged stress are impressive and are oriented towards the Schenker W503's, which was equipped with a Core i7-4800MQ and a GeForce GTX 765M in our test. Most of the competitors get significantly hotter. 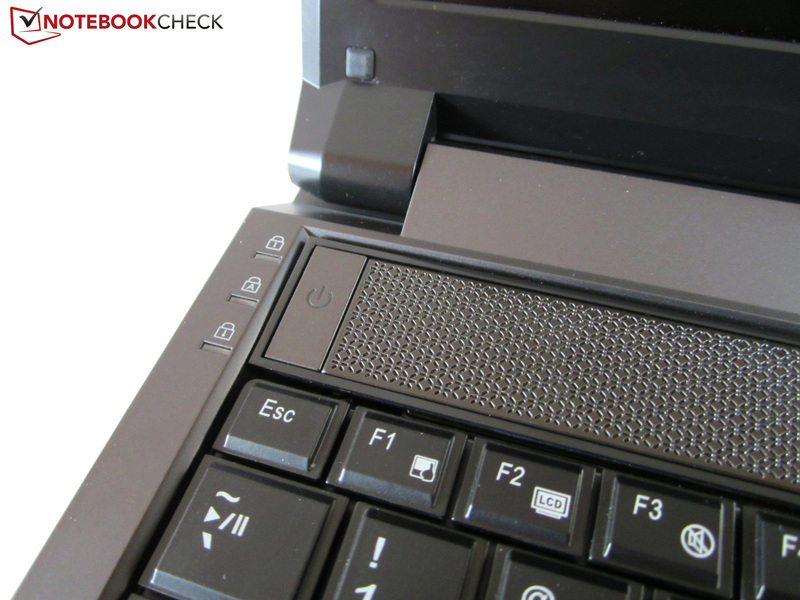 Even thick 17-inch devices like the Toshiba Qosmio X70 often reach higher temperatures. It is especially noteworthy, that the palm rests even remained below 30 °C (86 °F) after one hour under full load. A maximum of 39 °C (102.2 °F) close to the fans is also moderate. Despite hotter temperatures inside, you do not need to worry about the components. 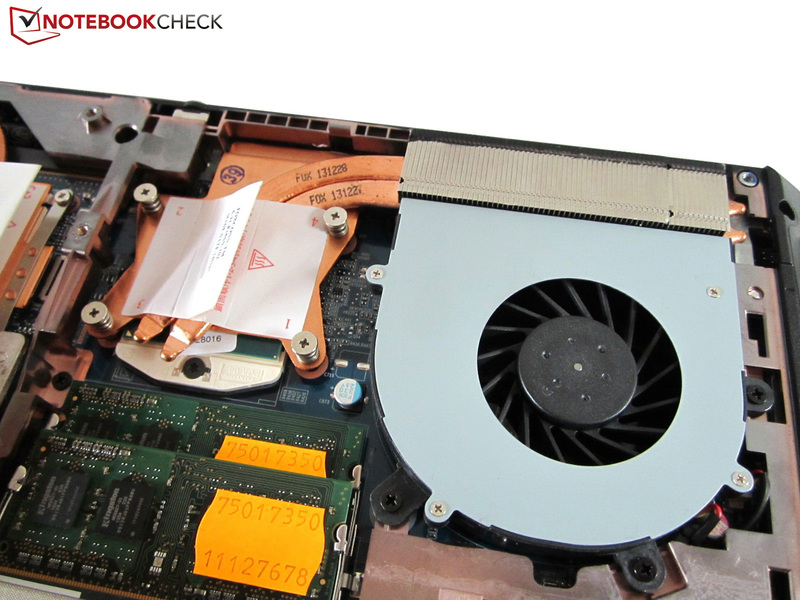 Since the cooling system runs at maximum speed as soon as CPU and GPU temperature reach about 80 °C (176 °F), the critical level of 90-100 °C (194-212 °F) is not exceeded. While the Core i7-4700MQ had a temperature of 75-80 °C (167-176 °F) after our stress test (according to CPUID HWMonitor), the Radeon R9 M290X reached about 78 °C (172.4 °F), while the core clock erratically fell to 450 MHz (for a few seconds). (±) The average temperature for the upper side under maximal load is 32.2 °C / 90 F, compared to the average of 32.9 °C / 91 F for the devices in the class Gaming. (+) The maximum temperature on the upper side is 35.5 °C / 96 F, compared to the average of 39.3 °C / 103 F, ranging from 21.6 to 68.8 °C for the class Gaming. (+) In idle usage, the average temperature for the upper side is 26.5 °C / 80 F, compared to the device average of 32.9 °C / 91 F.
(±) The average temperature of the palmrest area of similar devices was 28.7 °C / 83.7 F (+0.6 °C / 1.1 F). Please refer to our test of the Schenker W503 if you are interested in the sound system. Thanks to the Enduro technology, the One K56-4N is quite frugal while idle. 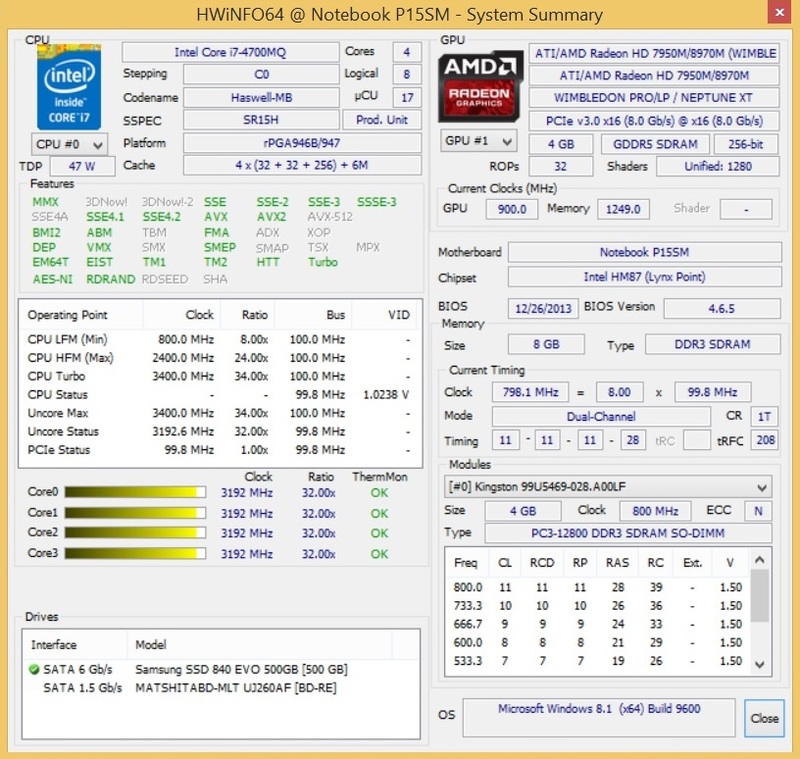 15-26 Watts are slightly less than the level of the One K73-3N with Core i7-4800MQ and GeForce GTX 770M (17-29 Watts). 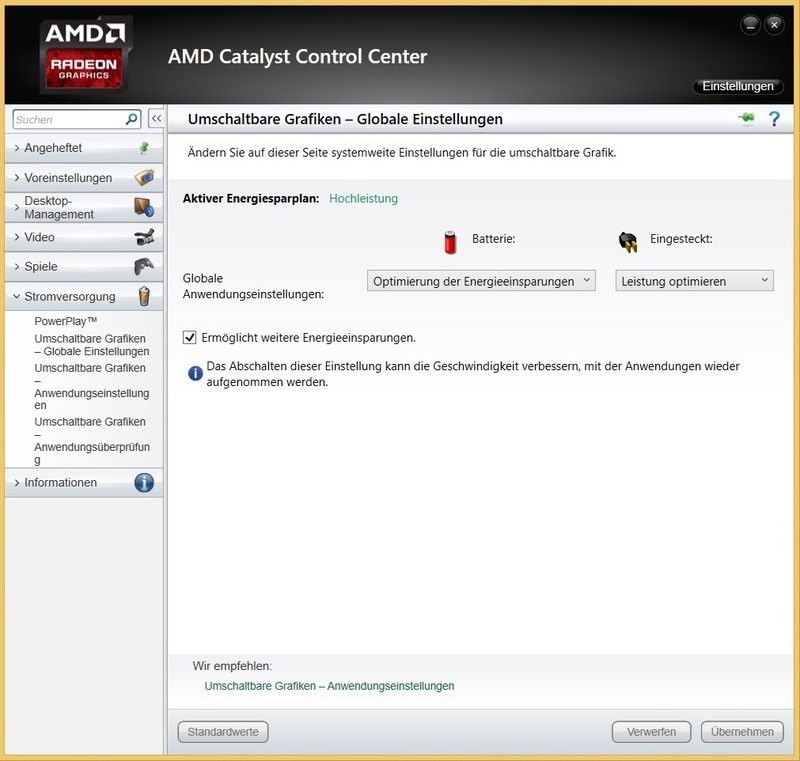 The device does not perform that well during 3DMark 06. 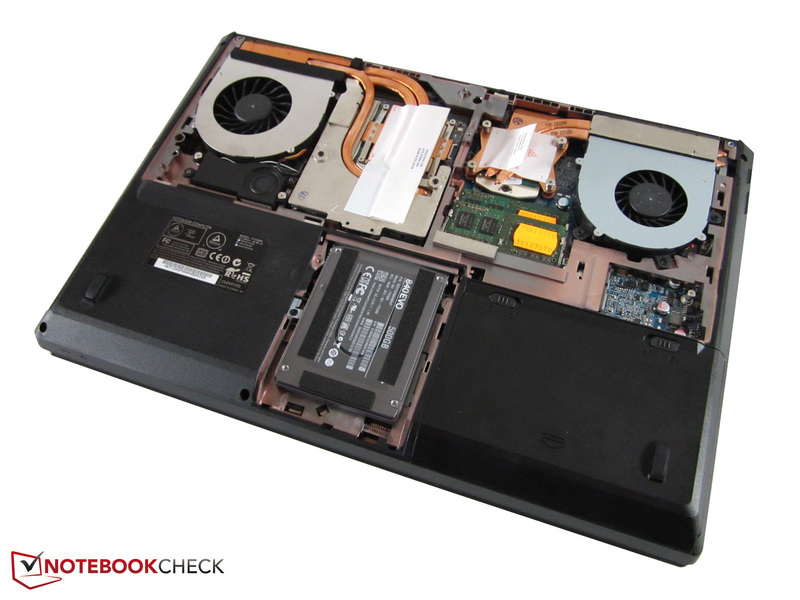 With a power consumption of 126 Watts, our test model significantly exceeds GTX 780M notebooks'. 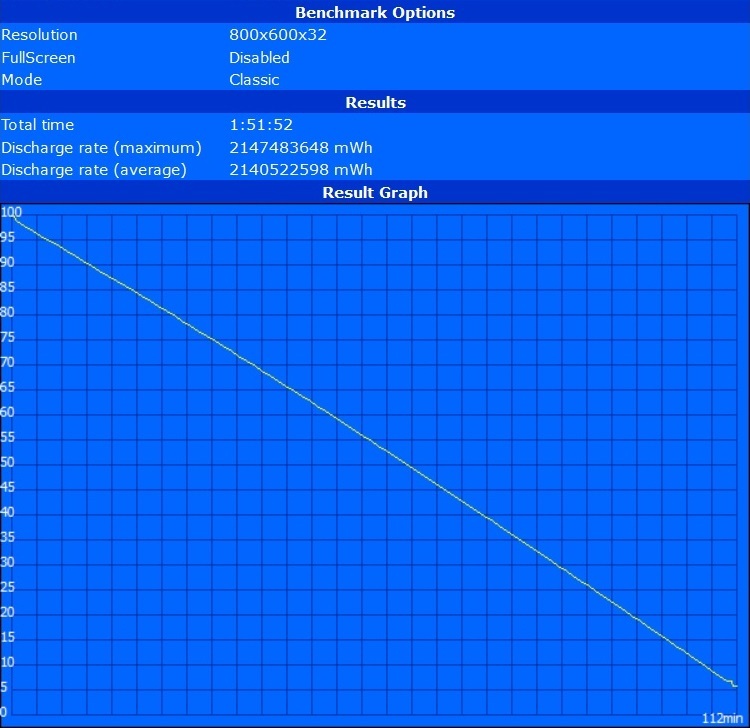 The MSI GT70H (~103 Watts) and the Asus G750JH (~100 Watts) need less energy. The 180-Watt power adapter appears to be sufficient for the tested hardware. During our stress test, our gauge recorded a maximum of 182 Watts. Considering the enormous performance the battery life is acceptable. With minimum brightness, up to 4.5 hours are possible while idle. Most buyers will also be satisfied with 3.5 hours Internet surfing via Wi-Fi (70% brightness). Since the Classic test of the Battery Eater Classic ended after above two hours, a similarly long gaming session should be possible. Everything remained the same: This sentence fits perfectly to the Clevo P150 SM (One K56-4N). By that, we not only mean the performance of the Radeon R9 M290X, but also the relatively simple P150SM barebones. Despite a rather thick design (above four centimeters; ~1.6 inches) and the failed rubberized touchpad, the chassis performs well. 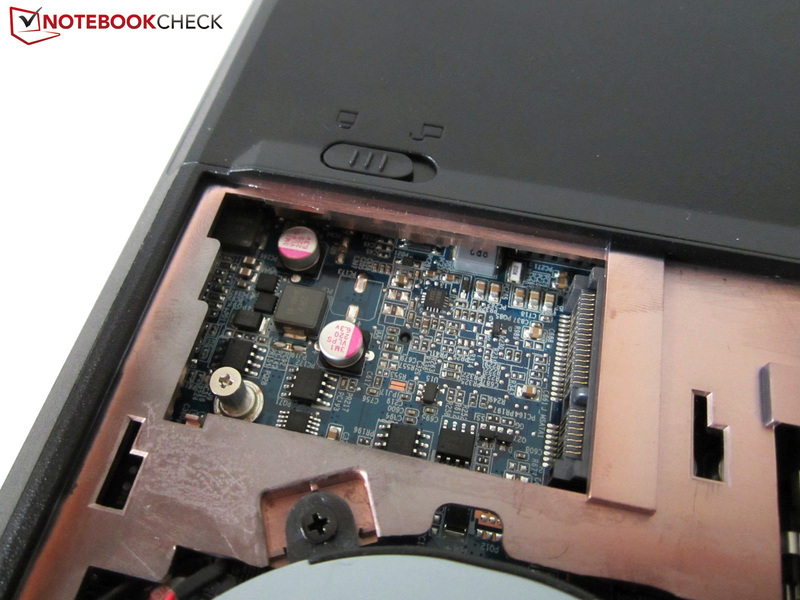 Hardly any high-end notebook can be maintained and upgraded as easily. 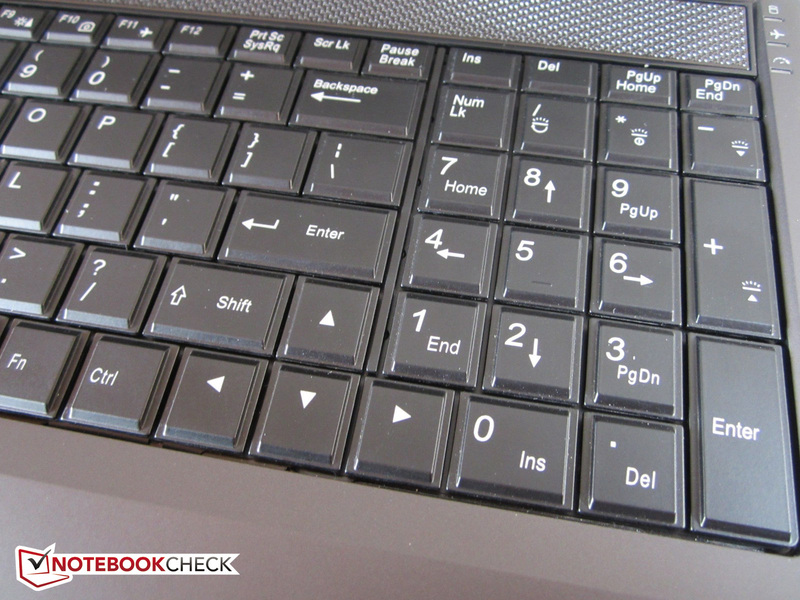 Further pros are the keyboard with several light zones, low temperatures and various interfaces. The lack of glossy elements is also positive in use. It is also not a matter of course that the One comes without bloatware and that the customer can configure it in detail. Meanwhile, Clevo should improve the sound and fan control. 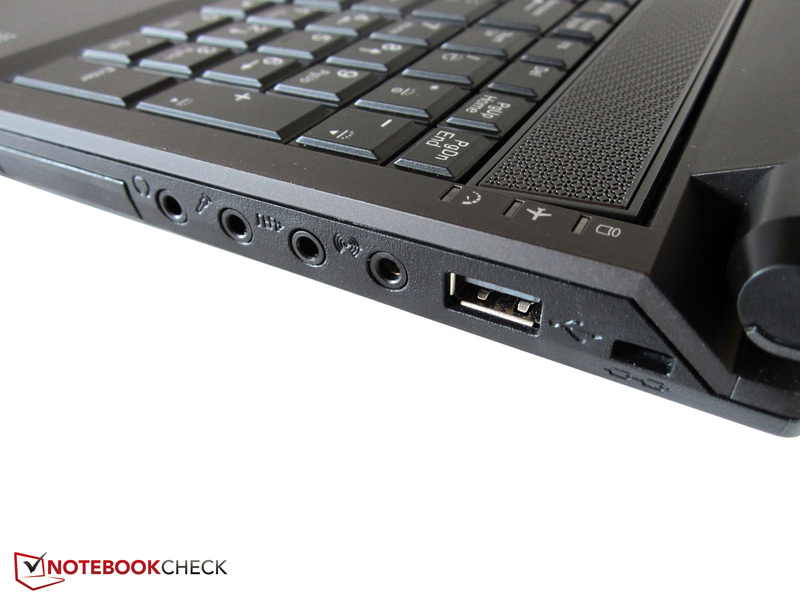 Regardless whether idling or in 3D mode: in our opinion, the P150SM barebones is too loud. In addition, it struggles with temporary driver problems. Meanwhile, we doubt that AMD will ever produce a flawless version. 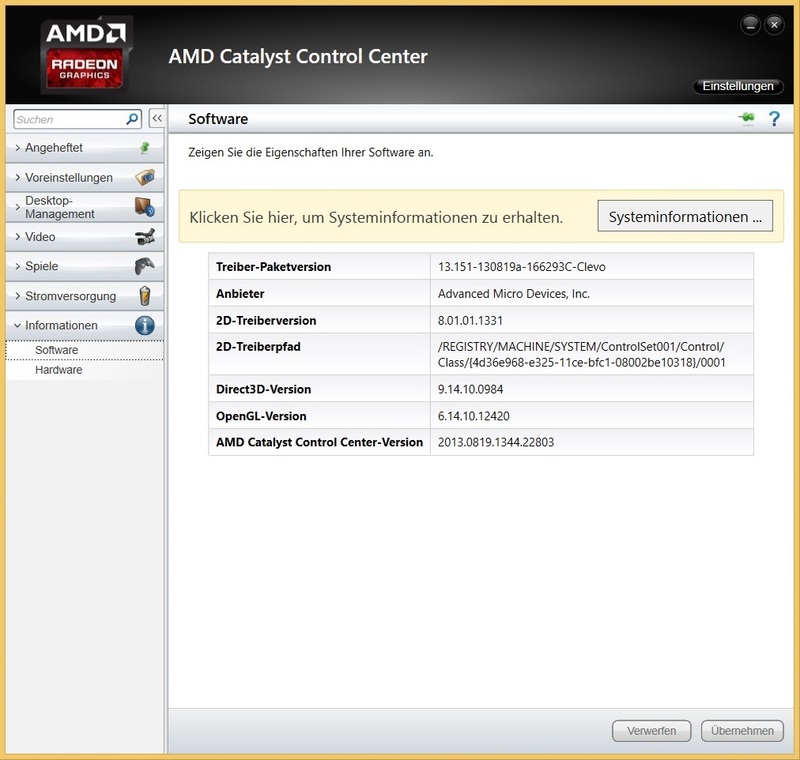 The performance is poor and error messages come up: Compared to Nvidia, the drivers appear quite immature. The best and fastest hardware is useless like this. To summarize, if you want to play without problems, you had better take a GeForce. Reviews of the GTX 870M and the GTX 880M are already planned. 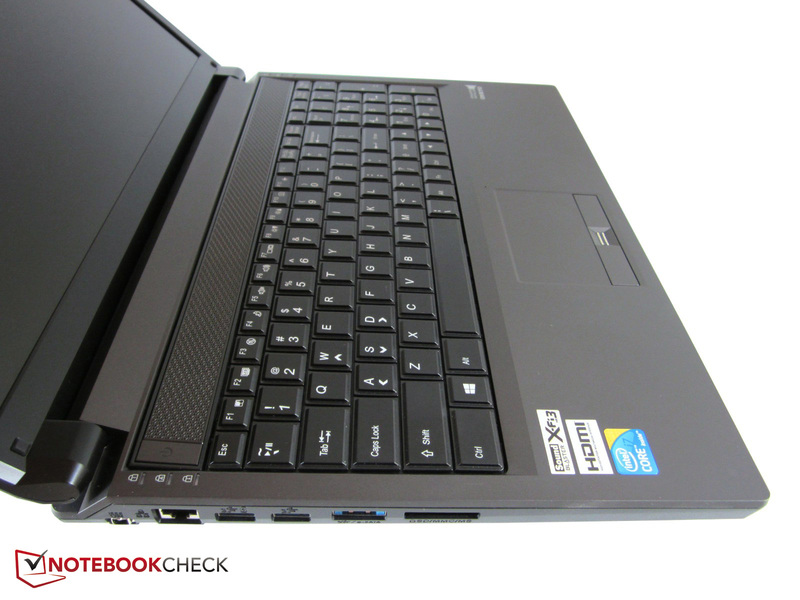 Note: The Clevo 150M (One K56-4N) was one of the first notebooks we tested with our new and noticeably harder rating system (v4 instead of v3). In the past, the total rating would have been 86%. Generally, the ratings should differ more greatly in the future. We e.g. introduced a sound category. 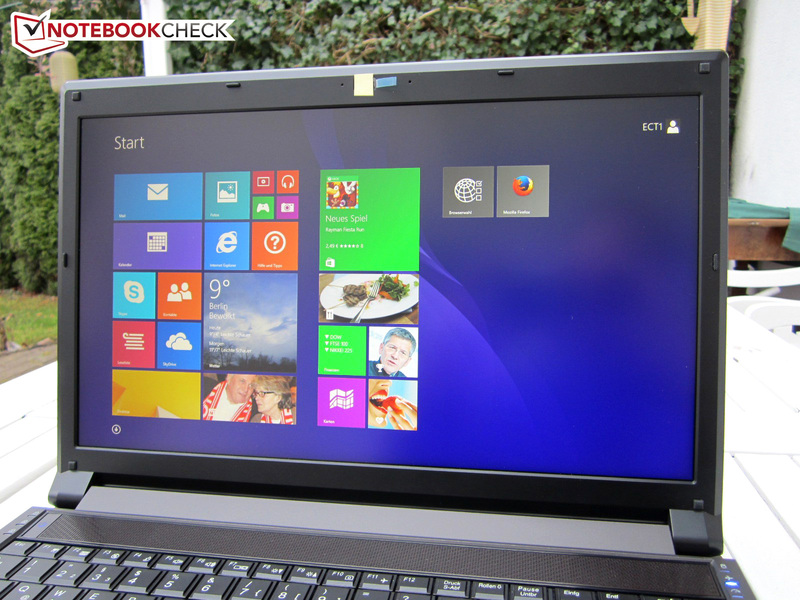 In Review: Clevo 150SM (One K56-4N). Test model courtesy of ECT Service GmbH. The same applies to the palm rests. It is easy to upgrade the P150SM. 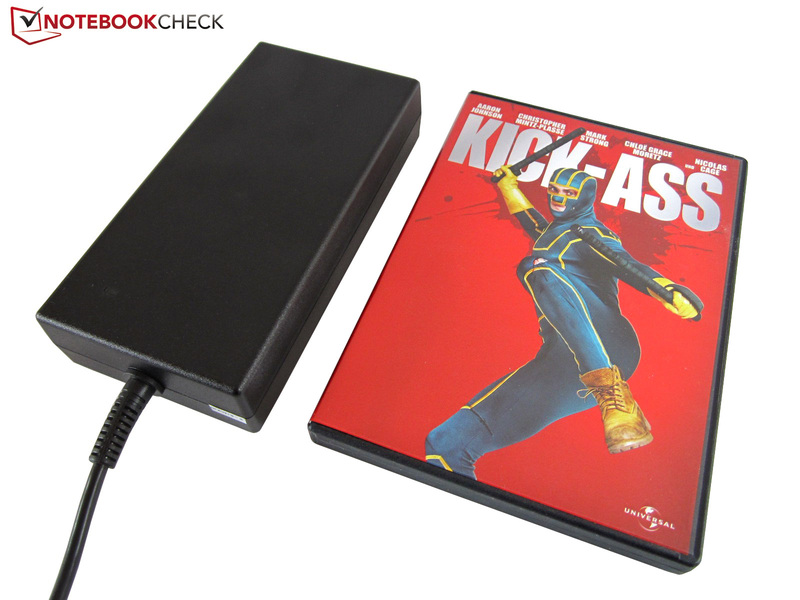 The notebook is just under 5 cm high with feet. The maximum opening angle is about 135°. The two fans are in the rear. Most of the photos stem from the technically identical Schenker W503. Only the photos of the inside are new. The soft touch finish does not like greasy fingers. The case is completely matte. The user does not have to do without an optical drive. Apart from the battery, two hatches can be removed on the underside. The cooling system appears sophisticated. One of the fans is responsible for the processor. 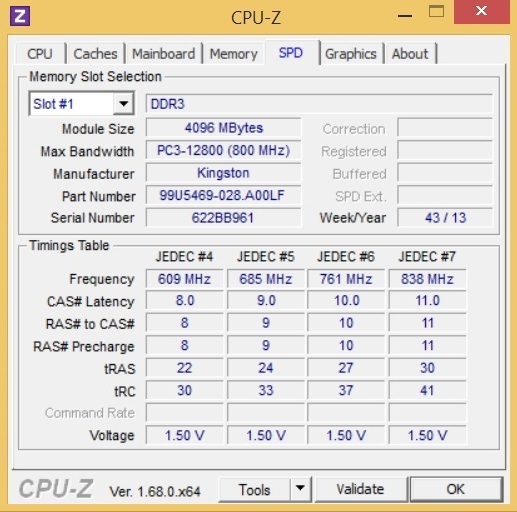 In our test model is DDR3-RAM from Kingston. One mSATA slot can be reached directly. The Samsung 840 EVO is one of the fastest SSDs. There is a second mSATA slot beneath the 2.5-inch slot. 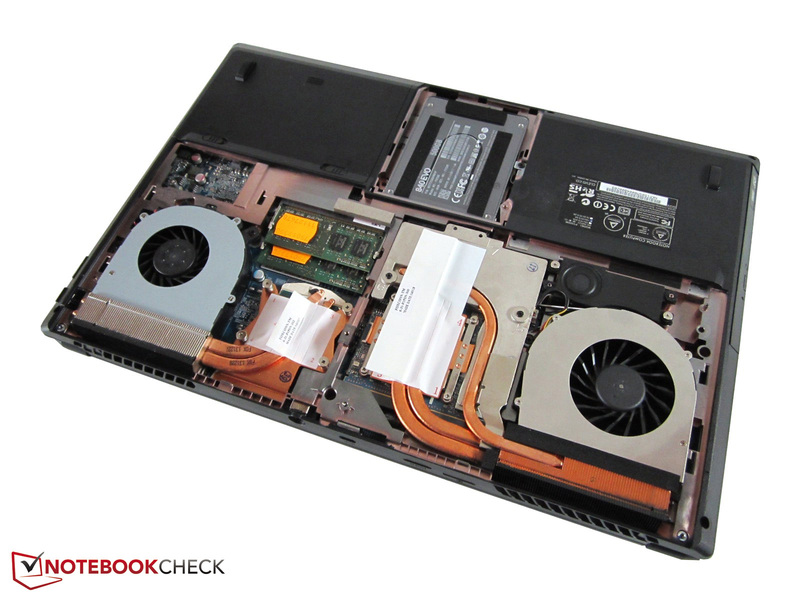 The Radeon R9 M290X is covered by a heat sink and three heat pipes. 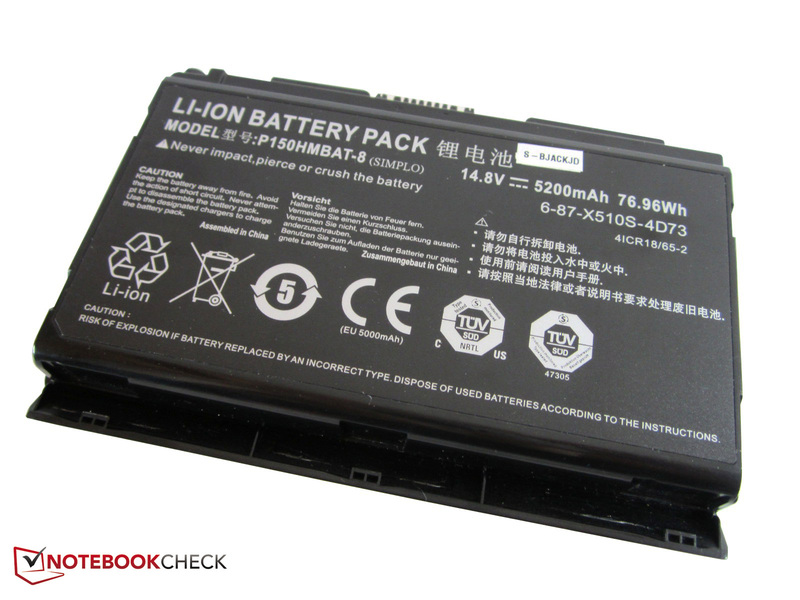 The battery has an impressive capacity of 77 Wh. The anti-glare display hardly reflects. 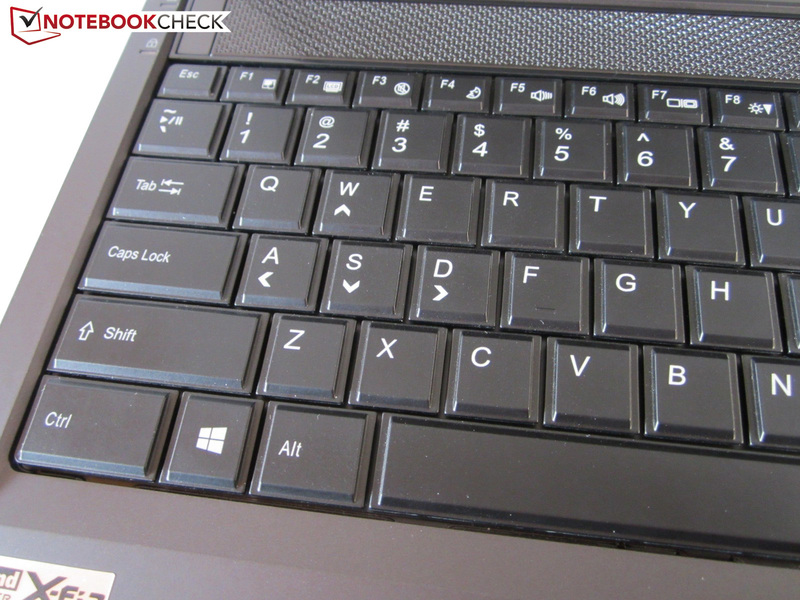 The keyboard light is divided into three zones. 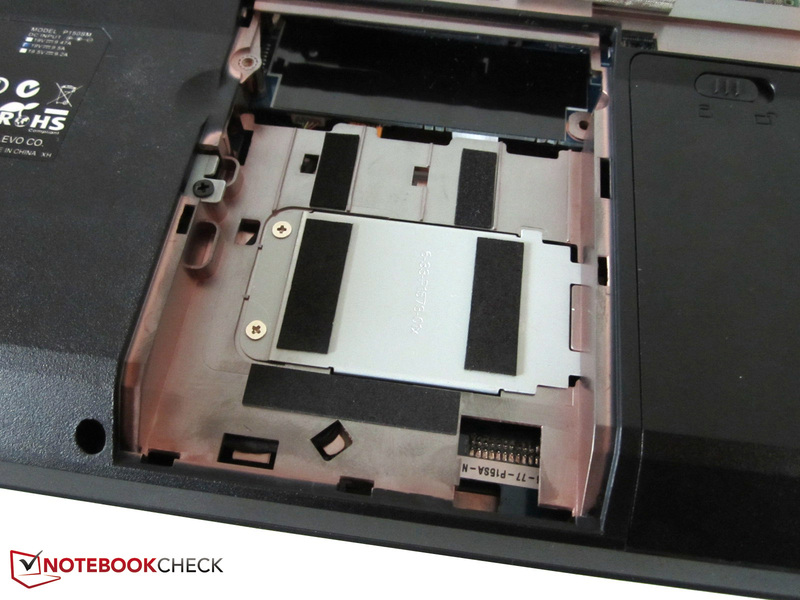 There are a WiFi module and two of for RAM slots beneath the keyboard. 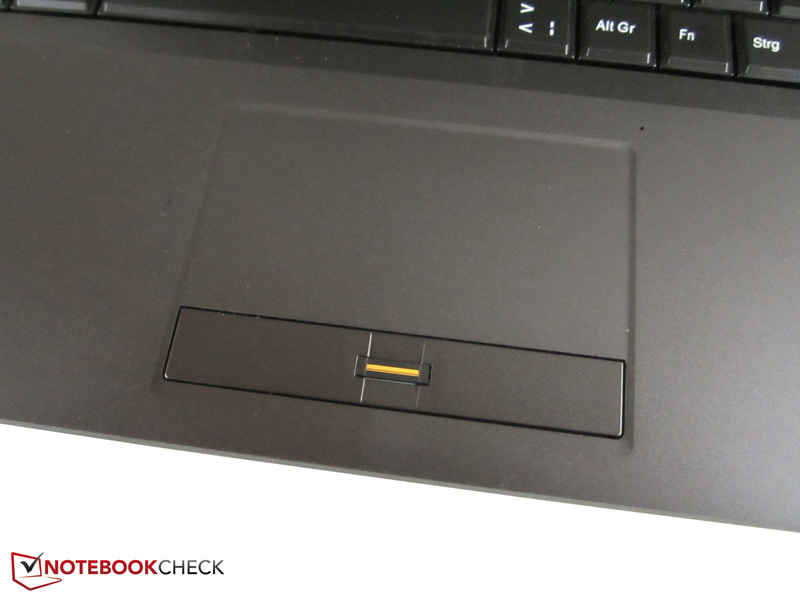 There are several indicator LEDs left of the power button. The layout is significantly different from the standard. The light can be adjusted with the number pad. 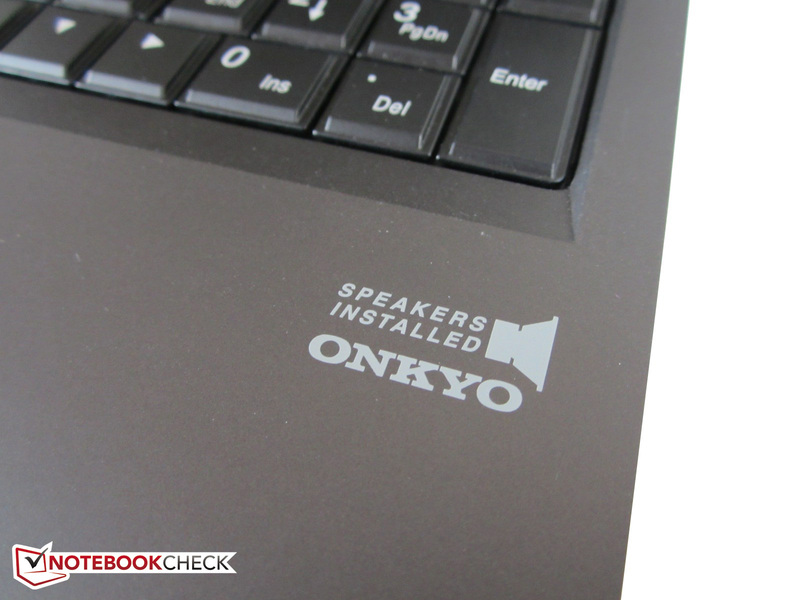 Despite brand speakers, the sound quality is not outstanding. The underside houses a subwoofer. Four audio jacks are generous. 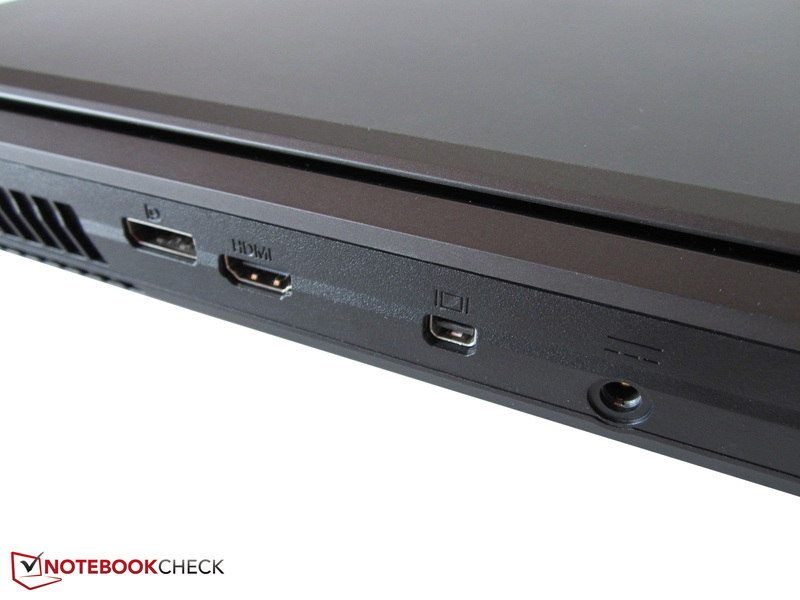 Great: The P150 SM (One K56-4N) features two DisplayPorts. 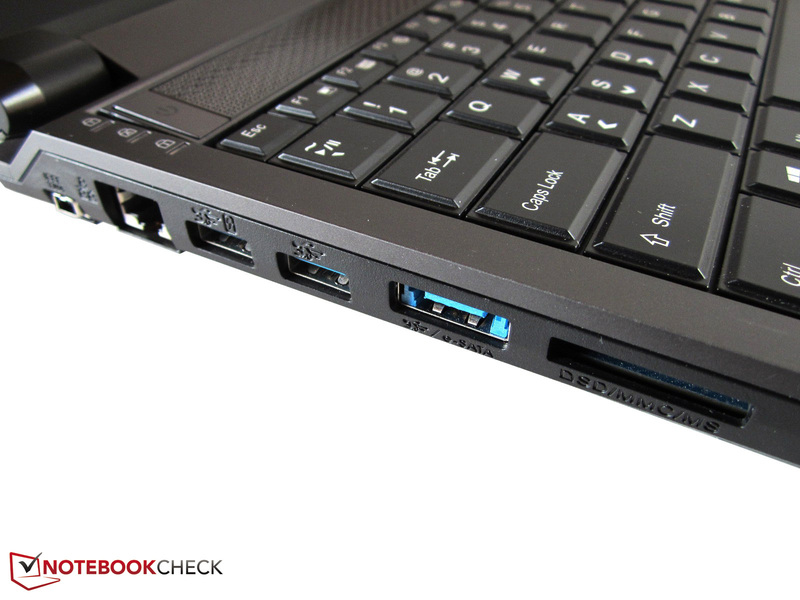 There are also plenty of USB 3.0 ports. The included power supply is massive. 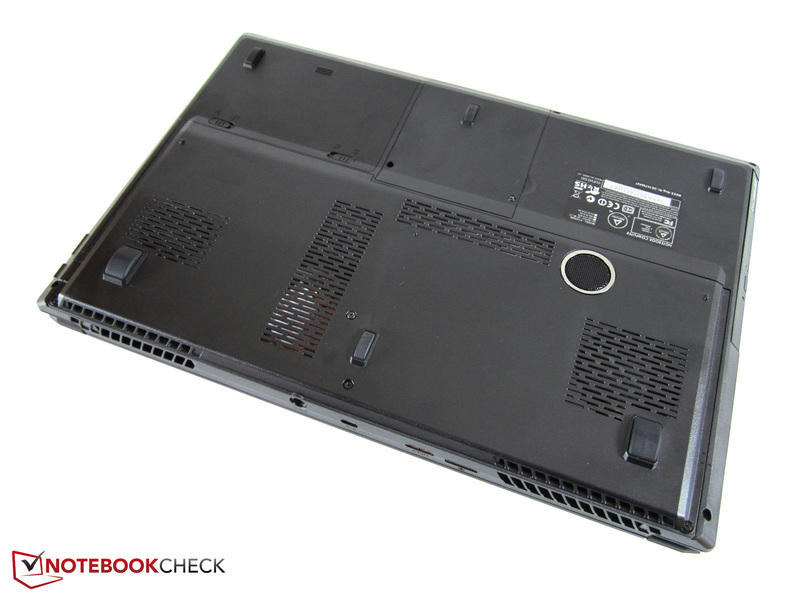 The P150SM barebones convinces with a simple look and great maintainability. The cooling system should work quieter and steadier. The case temperatures are surprisingly low. 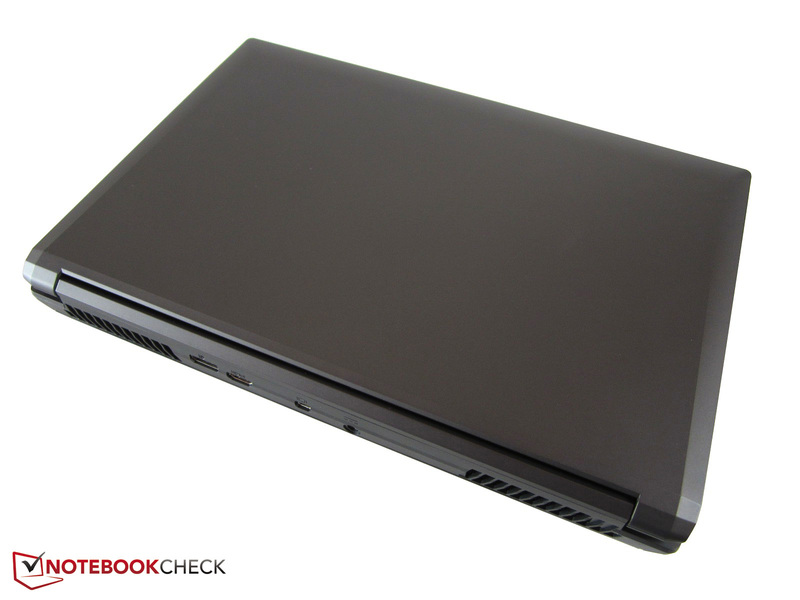 15-inch gaming notebooks like the Gigabyte P25W, the MSI GE60 or the Schenker XMG A503.